peanut butter cups and chocolatey dipped waffle cone pieces. I have low expectations going in to this one but that is a pretty mighty description. Isn't that an interesting start? Skipping right ahead, I need to start my review by saying that whoever thought to mix mini peanut butter cups and chocolate covered waffle cone bits is a genius. 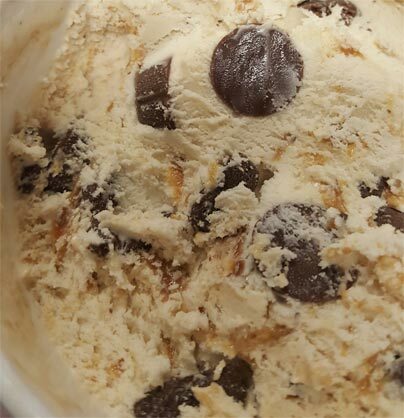 Maybe I got an overloaded pint, but this flavor is absolutely delightful with all the mix-ins coming together. I love a crunch factor and then the way the flavors come together is great. 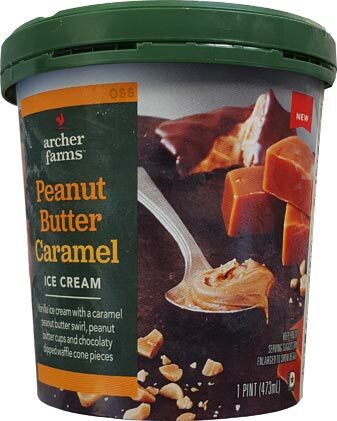 The caramel adds this bit of extra sweet note to tie that peanut butter and cone flavors together and it's wonderful. I had to stop myself from eating the whole pint. Yes, this is still a fairly budget ice cream. It's not heavy or dense, but the base is decent. The first few bites were more about flavor than texture, but then the mix-ins kicked in to high gear and it was nonstop munching from there. What a neat flavor. I'm just shocked that no one in the freezer aisle thought of this sooner. 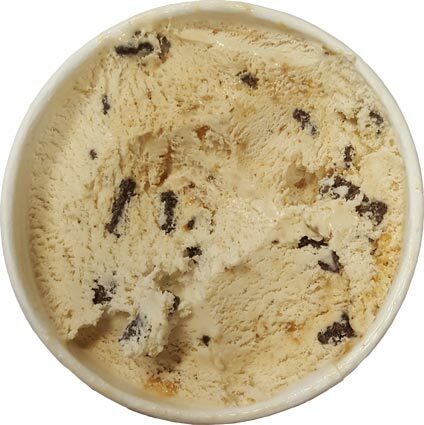 On Second Scoop: 9:42 AM and the second half of this pint is gone. Oh how I hope that every pint of this flavor is as jam packed as mine was. I'm still loving that cup cone combo with a caramel kick. It's absolutely delightful. I will point out that you don't want too much of the swirl on your spoon as it is a little funky. It doesn't really taste like pb or caramel, but some odd hybrid where you don't notice the weirdness unless you get a ton of it. Ignoring that and the budget texture, I still enjoyed every bite. I would definitely try this flavor if you get a chance. My only question now is which mainstream or premium player should try this combo next? I'm actually surprised TH hasn't already. I could've sworn they had a similar flavor at some point. 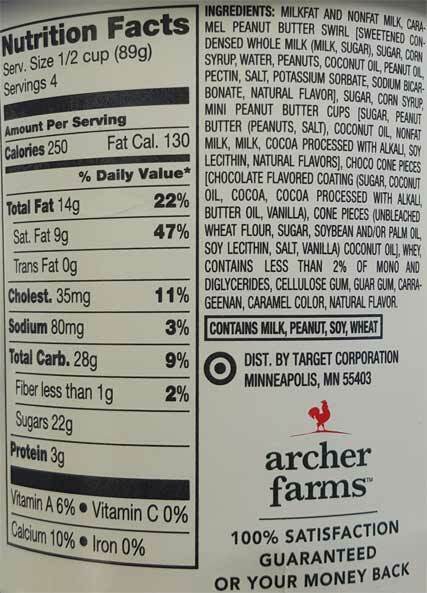 This has almost all of the components of a Take 5 candy bar with the chocolate, peanut butter, caramel, sweet, salty, and crunchy factors. This looks and sounds amazing. Danielle, Turkey Hill actually does have something like this. 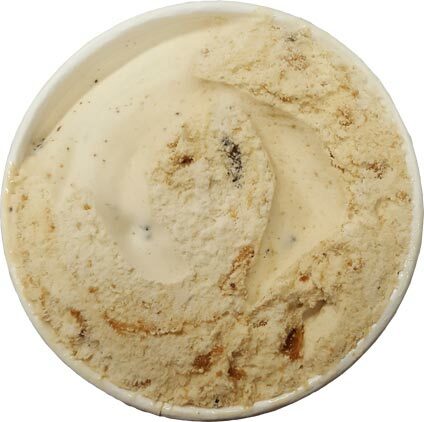 Their new Gelato Swirls has a Caramel Peanut Butter; I haven't tried it yet, but I would love it if On Second Scoop would review it! Speaking of new ice creams, I just discovered a company in a local natural market store I frequent: Nadamoo. Not necessarily new, but definitely newer and probably on the rise. It's coconut milk based and honestly one of the best texture coconut milk ice creams I've ever had. Way softer than So Delicious, and the coconut milk is more subtle. I tried the Mmmm...Maple Pecan pint and the maple smell was impossible to ignore and it had plenty of delicious pecan mix ins! You guys should keep an eye out and review some of their other flavors! The only downside: it was ON SALE for $6 a pint, usually the store sells it for $8!!! Nuts!